1. First of all, you have to own a DBS iBanking account. 2. Login DBS iBanking and choose “Conduct Financial Needs Analysis” under "Invest”. 3. 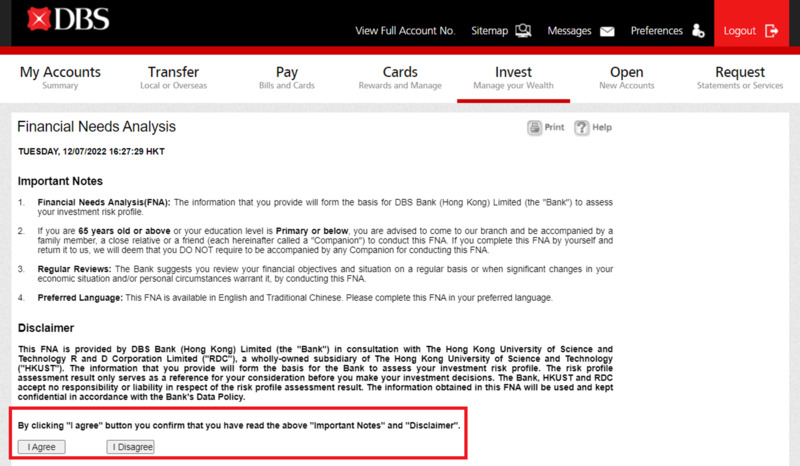 To start Financial Needs Analysis, please read the “important Notes” and “Disclaimer” and click “I Agree” to confirm.